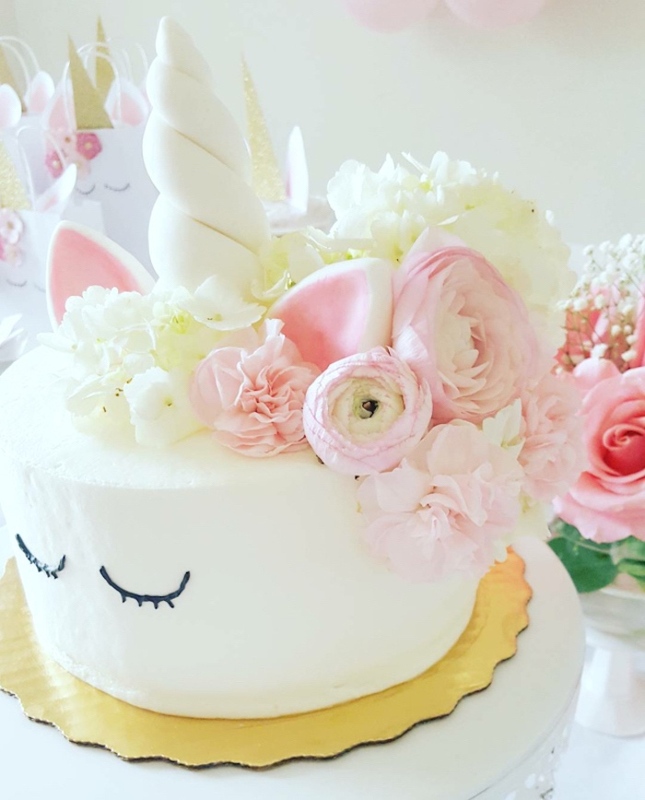 Been searching for a gorgeous Unicorn Cake, but don’t want to pay the hefty price tag that comes along with it?! 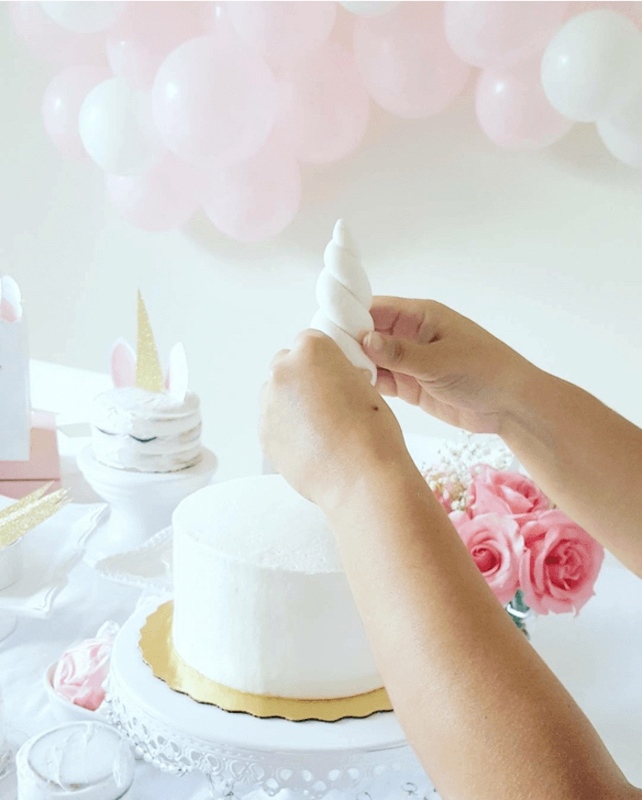 You’re in luck, ’cause we are sharing this DIY Unicorn Cake from the Sweet Unicorn Birthday Party by Luxmy Panzardi of The Luxmy Life, that we featured this morning! So, grab a notepad and pen and be sure to jot down every word shared by the lovely Luxmy! The first challenge was making the unicorn ears and horn. 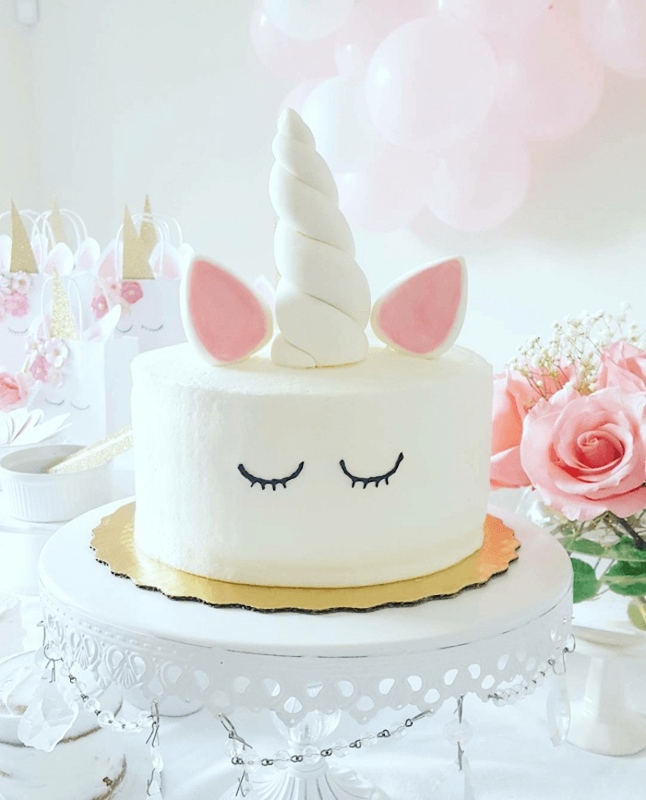 Like I said before, I am not a professional cake decorator and not too familiar with fondant, but after a quick search on Etsy, I found this! 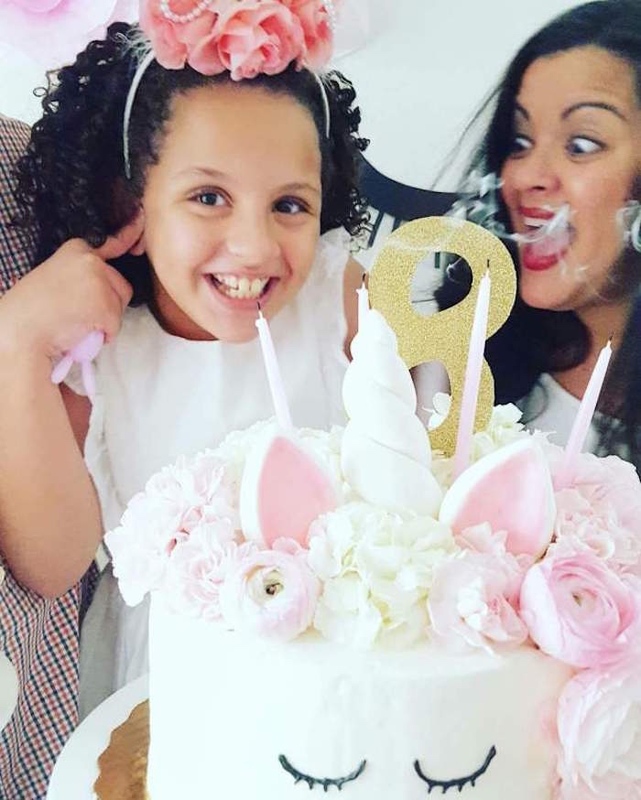 Fondant unicorn horn and ears already made! 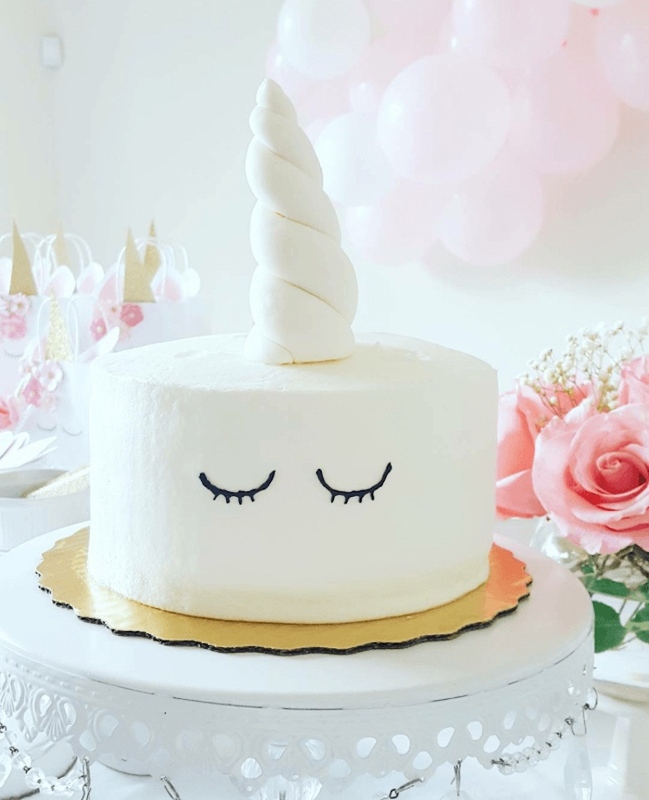 Can you say unicorn cake hack??!!! The rest was a piece of cake! Get it? LOL! For the cake I used an 8 inch 6 layer vanilla cake. You can bake one or order a cake with just white icing (another hack!). 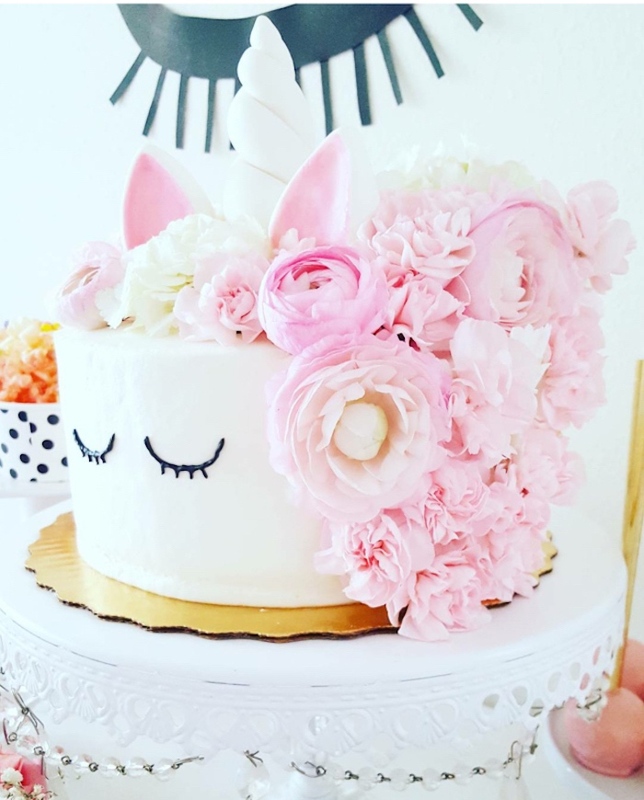 I also went without any cake filling as I wanted the it to be firm enough to hold the horn, ears and the rest of the décor. 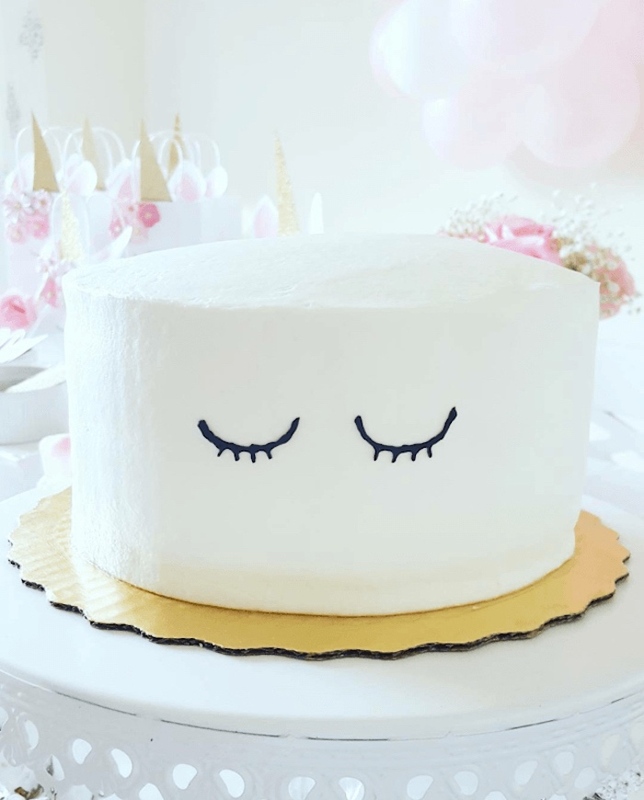 The first thing I did was drawing the lashes on the cake with a black icing writer. 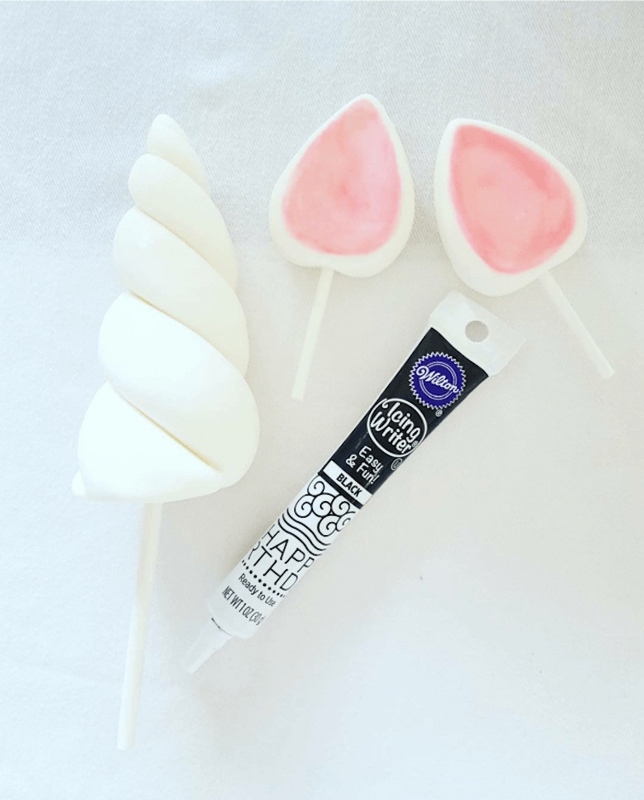 I practiced a couple of times on wax paper before drawing them on the cake. This may sound difficult, but it was actually fairly easy. I got my lashes done on my first try! Then I added the horn by pushing the horn into the center of the cake. Followed by the ears on each side of the horn. Once the horn and ears were in place, the fun stuff began. Flower time! 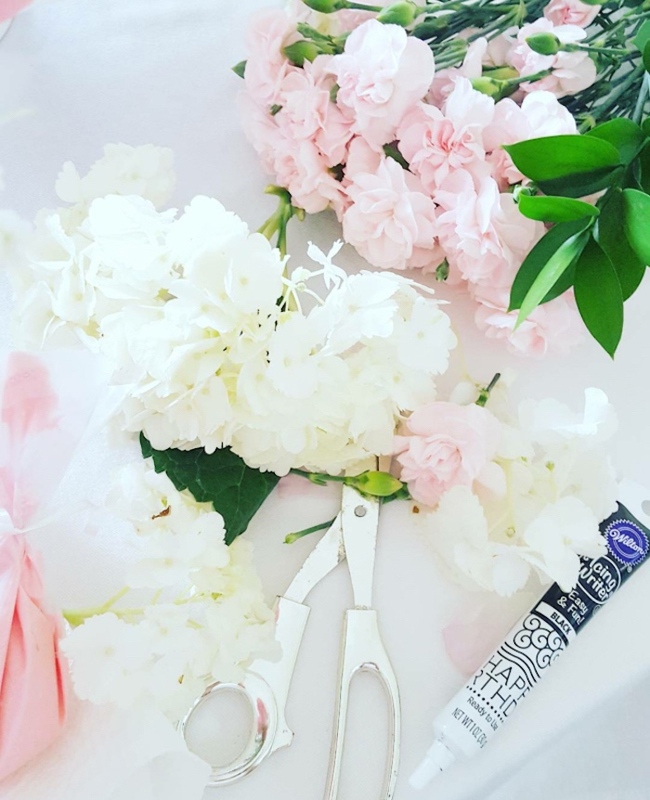 I love using fresh flowers on cakes so instead of pipping them, I went with fresh ranunculuses, white hydrangeas and baby carnations. This was my favorite part. I started out in the front of the cake with the ranunculuses and baby carnations, and worked my way back using the white hydrangeas. 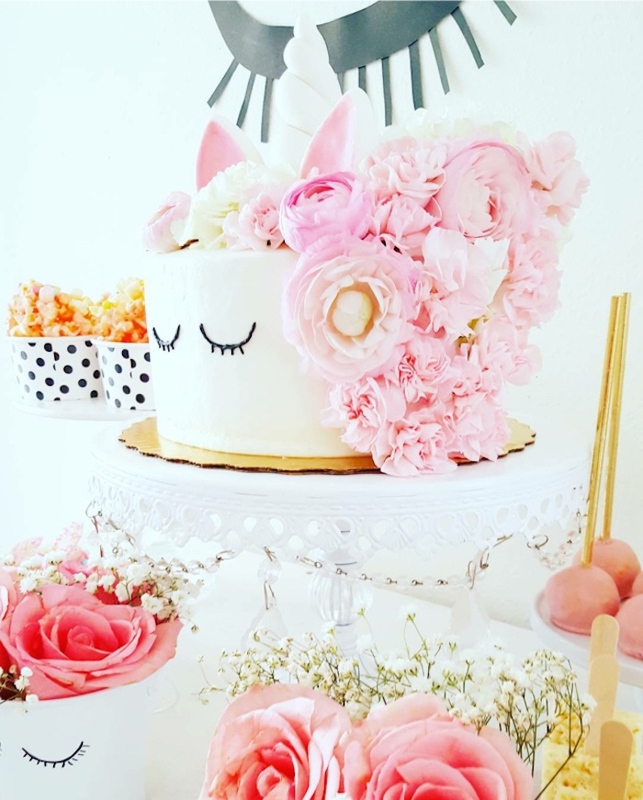 For this particular cake I wanted the flowers to drip down from the cake on one side, but the flowers can be arranged in so many different ways. Theres really no right or wrong way to do this. Its super easy and so much fun!